EZ PZ Overview Entry Page. After you have gone to the Getting Started Page this page would be a natural next step...you might go directly to video two and download the EzPz PDF. 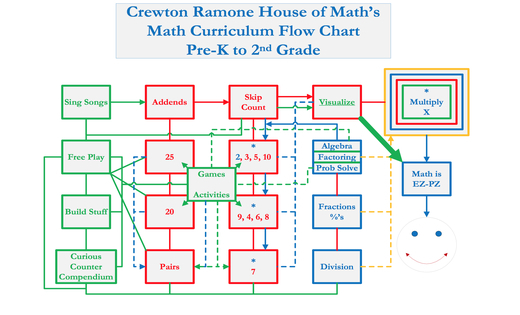 This will give you a good idea of how it all fits together for the younger students through about second grade. It's also much less of a time investment as the vid is only 47 minutes. Looks a lot more complicated than it is. There are about four hours of video on the other side, plus the PDF for you to download. The vids on the other side explain that flow chart step by step (specifically the very end of vid one and all of vid two), vid one covers a training I did for people who are thinking about going into business as tutors using base ten blocks, and a of course, whole lot more. Videos and links on the page will give you a solid overview of what we are trying to accomplish here. There is a Video training for those thinking of becoming tutors themselves... they needed a an overview of the system...and how to set up custom curriculums, personalized for their students based on knowledge of the methodology. People have told me they have watched vid two over and over again. This training was for parents and teachers that are considering becoming tutors using manipulatives...but I think it will be beneficial for people who want a glimpse of the bigger picture; it is particularly useful for those who have younger children, an overview that makes sense of what looks like disorganized chaos actually fits together quite nicely. The linear methodology does not work, but at the same time people find a methodology that teaches so much of the Math at once confusing. After a few videos the methodology will make much more sense. You will hear one of the trainees at the end say it was the best training yet...because it helped her put it all together. If you haven't already, watch this one hour introduction. That link takes you to a page with vintage videos that I think you will find useful and interesting. After you've gone through the getting started page and EZ PZ overview, check out the series a manuals page. 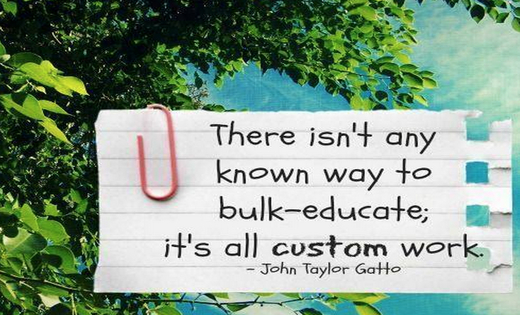 Or you can purchase individual modules, & get a lifetime of access. Or you can purchase individual modules for year, or buy a passport of four passwords for just a year for one low price. Lifetime: $111 @ Mod or $399.99 Mod 1-4. Annual: $40.00 @ Mod or $137.00 Mod 1-4. Or return to the homepage, for subscriptions.